Click Here to Submit an E-Spotter Damage Report. ARES Net Manager/ Net Control Coordinator. The new Introduction to Emergency Communications course includes updated content from the previous Basic Emergency Communications Level 1 course, as well as some content previously included in the former Level 2 course. The EmComm training program has been restructured to offer two courses: This enhanced basic course for EmComm volunteers who want to serve as part of an ARES® response team and the management course -- Public Service and Emergency Communication Management for Radio Amateurs (EC-016, also available on the ARRL website) -- for those who are serving in ARES® leadership and management roles. To learn more, visit the CCE Course Listing page or contact the Continuing Education Program Coordinator. Check out our Training Page for Additional Information on Training Opportunities ! The Current National Weather Map. A great source of Emergency Communications (EMCOMM) information. (Jun 21, 2011) -- The National Weather Service (NWS) has updated its Memorandum of Understanding (MoU) with the ARRL (scroll below to access a link to the document). The updated MoU serves “as a framework within which volunteers of the ARRL may coordinate their services, facilities and equipment with the NWS in support of nationwide, state and local early weather warning and emergency communications function.” In May, ARRL President Kay Craigie, N3KN, signed on behalf of the ARRL, and in June, NWS Office of Climate, Water and Weather Services’ Director Dave Caldwell signed on behalf of the NWS. The ARRL and the NWS have had a formal working arrangement since 1986. 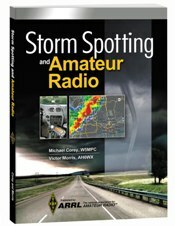 Storm Spotting and Amateur Radio is a resource for the Amateur Radio operator who volunteers as a trained storm spotter. This book includes information on resources, training, equipment, safety, storm spotter activation procedures, reportable weather criteria, developing a local storm spotter manual, and the experiences of storm spotters from around the country. It also provides some meteorological information about severe weather such as hurricanes, tornadoes, hail, floods, damaging wind, and winter weather. A comprehensive index is included with weather-related web sites and a state-by-state listing of SKYWARN® web sites. This new publication is available from the ARRL Bookstore for $22.95. Gary Garnet with the Cleveland NWS handed out a Spotter Reference Sheet during the Spotter Training meeting. Supplies were limited and were gone before everyone got a copy. He recently provided us a copy in Pdf form that has been added to our website. Severe Storms Rock Stark County during Summer 2007. Click Here for a review of the 2006 severe weather season from Cleveland NWS. Stark County Skywarn Spotter Statistics. Damage Assessments Report over 268 Million in damage to 60 Ohio Counties during February Flooding. Stark ARES Assists Ohio EMA. An excellent full color booklet titled "Basic Spotters' Field Guide" is also currently available from the National Weather Service On-line library of Publications. CLICK HERE for a listing of their currently available information guides. NOAA Weather Alert Comes to Ham Radio. Severe Weather Paging Notification Comes To An End. The National Weather Service is second only to the Postal Service among government agencies in day-to-day contact with U.S. citizens. And the public seems pleased with what it gets. The NWS's approval rating has jumped to 70%, up from 51% in 1948. Those saying that it was doing a poor job fell from 15% to a mere 7%. These numbers would please many a politician. "Amateur Radio - The only fail-safe method of communication." 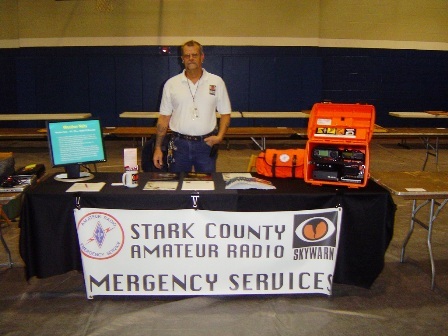 "Amateur Radio - The Last Line of Defense"
This year’s training will be held on Thursday, April 18th at the Stark County EMA Office located at 4500 Atlantic Blvd (Lower Level), Canton, OH 44705. Doors open at 12:30 PM with training beginning at 1:00 PM and will consist of a webinar by National Weather Service trainers. The training will last approximately 90 minutes. There is room for about 25 persons at this training session. Pre-Registration is required to insure seating is available for all participants. Please contact Terry Russ, N8ATZ at (330) 837 – 3091 or email to truss@sssnet.com to register for the training. This year’s training will again discuss what severe weather is; identifying potentially serious weather patterns; and reporting this information to the Cleveland NWS office. (Apr 15, 2019) - - Stark County Skywarn activated for several hours Sunday afternoon and evening as a storm front passed through the county bringing with it a severe thunderstorm that included moderate to heavy winds and minor hail. During the storms peak Cleveland Weather first issued a Tornado Watch followed by a Warning as weather radar began showing echoes of possible tornadic rotation. During the event our severe storm spotters were requested to verify wind and rain reports including any damage produced by the storm. 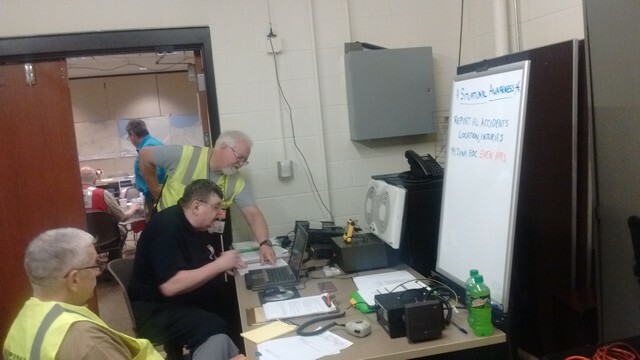 Our severe weather team headed by Mike, KB8MIB monitored conditions and took reports for relay to the weather service. We also dispatched a storm spotter to Mercy Medical Center to assist their security staff in monitoring the storms track across the area. By 7:30 PM conditions improved as the storm subsided and our severe weather net was closed. There were varied reports of some trees uprooted and a possible tornado sighting was reported to the National Weather Service. Multiple power outages were also reported also. (Apr 6, 2019) - - ARRL President Rick Roderick, K5UR, is using the occasion of National Volunteer Week, April 7 – 13, to highlight Amateur Radio’s role in helping the public as volunteers. 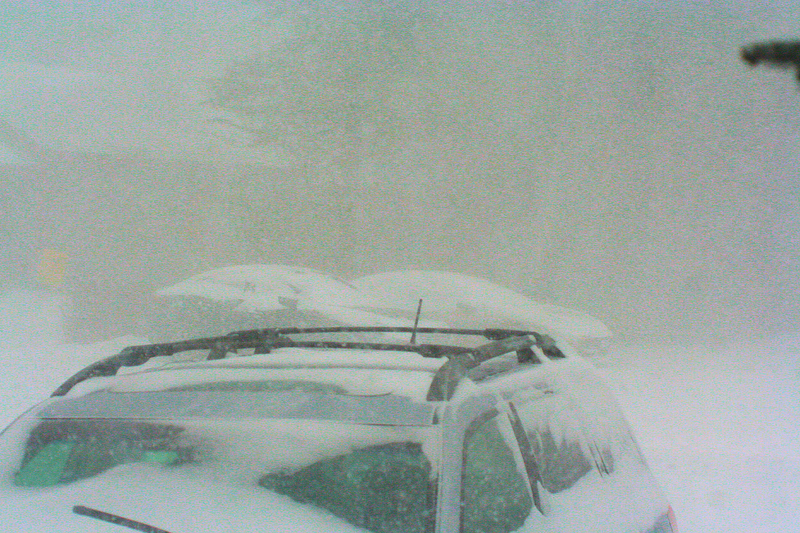 (Mar 24, 2019) - - Ohio ARES members stared down “Snowmageddon” 2019, the mid-January blizzard that blanketed the lower Great Lakes region. Based on ominous forecasts and discussion with Assistant SECs across the state, Section Manager Scott Yonally, N8SY, and the Ohio Watch Office, SEC Stan Broadway, N8BHL, asked ARES operators to provide observations and reports to assist decision makers at the Ohio Emergency Operations Center and county emergency management agency centers. “We could do this safely from our homes, and integrate our reports (remotely) into the state’s WebEOC management system, which could be read by the Ohio Watch Office and any other emergency official around the state,” Broadway said. “We had never tried this, and it seemed like a great way to promote the Amateur Service’s ability to provide situational awareness on a wide scale.” Broadway said conditions generated by the storm “could have resulted in an emergency” and warranted a statewide ARES response. A statewide net was convened on Saturday, January 9, as conditions deteriorated. 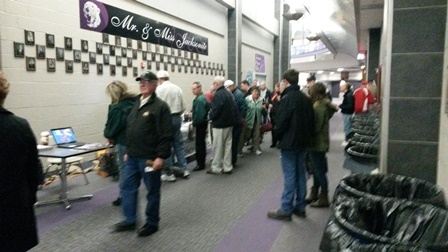 Amateurs quickly began checking in and reporting their local conditions with specific details. The reports were compiled by Ohio’s AuxComm Team station W8SGT, which was operated from Broadway’s residence on 80 meters, and the VHF/UHF Digital Mobile Radio (DMR) network (the Ohio Talk group), simultaneously. By nightfall, storm conditions had stabilized, and reporting slowed to the point that the statewide net could be closed. Many county-level nets were also in operation. The Ohio “Snow Net” received 131 reports from 44 of Ohio’s 88 counties, split evenly between HF and DMR. The short-notice net was entered into the ARES Connect system and more than 50 amateurs signed up for the net event. Several other local snow nets entered for county events also. The statewide reports were logged and submitted every few hours to the state Homeland Security/Emergency Management Agency Watch Desk through WebEOC. Ohio ARES operators provided a broad range of information including snow depths, wind speeds, and “Level 3” declarations, closed airports and more. Under Level 3 in Ohio, non-essential motorists on roadways are subject to arrest. Broadway conceded that more aggressive alerting of District and county Emergency Coordinators would have given them more time to prepare. More guidance for local nets might have contributed to more realistic expectations and efficient operation — the specific weather information sought and time frame of operation anticipated, he added. (Mar 16, 2019) - - On Thursday, March 14th a Skywarn Net was opened around 7:00 PM as severe weather entered western Stark County. Soon after the Cleveland National Weather Service issued multiple watches and warnings the storm developed over the area. As heavy rain and high wind gusts started, the NWS issued a Tornado Warning for our area. The Stark County EMA was activated with staff reporting to the office. Also our ARES team was notified that our response might be needed. Our net was continued as some reports of downed trees and power lines began coming in. By about 8:15 PM preliminary determined multiple tornados rated EF-0 had hit the Massillon, Perry Township and Louisville areas with wind speeds in excess of 80 mph. Heavy traffic on our weather net prevented us from taking timely damage reports. By 9:00 PM Thursday our weather net was closed and we began taking damage report. On Friday morning a response team from the Cleveland NWS arrived and began to assess the damage throughout the area. Throughout the event, our ARES members remained activated in case support communications were needed. You can also submit reports of severe weather using the NWS E-Spotter reporting system. Click Here for this link. (Mar 6, 2019) - - A new DMR Net sponsored by the Massillon Amateur Radio Club is held every Monday night at 7:30 PM on the KG8DQ Repeater System. If you are using the KG8DQ code plug set your radio for the Massillon Zone, Channel 1. To access the Canton System go to the Canton Zone, Channel 1. Both systems are tied together and have nearly countywide range and can be used using either a handheld or mobile. Net Control is currently Jim Farriss, WA8GXM who accepts all check-ins. Some local news items are covered as well as comments. (Mar 2, 2019) - - March is Severe Weather Awareness Month here in Northeast Ohio. Severe WX awareness week will be observed on March 18th - 23rd this year. Our annual Tornado Drill will take place on Wednesday, March 20th at 10:00 AM. A special ARES Weather Net will take check-ins during the drill on the 147.12 Mhz Repeater. (Feb 19, 2019) - - The new ARES Plan adopted by the ARRL Board of Directors at its Annual Meeting in January represents an effort to provide ARES with a clearly defined mission, goals, and objectives; specific training requirements, and a system for consistent reporting and record-keeping. The Board’s Public Service Enhancement Working Group (PSEWG) spent more than 3 years crafting the ARES Plan which, ARRL officials believe, provides a much-needed update of the program’s role in public service and emergency preparedness in the 21st century. Concerns focused on bringing ARES into alignment with the National Incident Management System (NIMS) and Incident Command System (ICS), and creating more consistent and standardized ARES training requirements. Given dramatic changes and upgrades in national, regional, and local emergency and disaster response organizations, ARRL faced a major challenge, said ARRL Great Lakes Division Director Dale Williams, WA8EFK, who chaired the PSEWG. “If we didn’t address these issues, such as training standards and organizational management, ARES faced the very real possibility that it would no longer be viewed as a valid and valuable partner in emergency and disaster relief situations,” Williams said. With input from ARES members and a peer review team, and the assistance of emergency response officials with some partner organizations, the PSEWG came up with a plan that provides guidelines to ensure that ARES remains a service of organized, trained, qualified, and credentialed Amateur Radio volunteers who can provide public service partners with radio communication expertise, capability, and capacity, Williams added. A drafted ARES Plan was circulated among ARRL Section Managers (SMs) and Section Emergency Coordinators (ECs) to gather feedback. During the comment period from August through October 2018, the PSEWG heard from 55 ARRL Sections, representing 40 states — more than 125 pages of feedback in all. The PSEWG expressed appreciation to all who submitted comments and ideas. The PSEWG reviewed every comment and suggestion, identifying about a dozen key items commonly cited by those in the Field Organization to improve the plan. Based on input from ARES participants, the training requirements in the final ARES Plan consist of the free FEMA Professional Development Series. The series comprises these independent study (IS) courses: 120.c, 230.d, 235.c, 240.d, 241.b, 242.b, and 244.b (as they may be amended), as well as the ARRL’s EC-001 and EC-016 emergency communication courses. As part of adopting the ARES Plan, the ARRL Board approved a proposal to make the ARRL EC courses free for ARES members. The plan highlights some additional training programs that ARES participants are encouraged to consider taking, but that are not required, such as AUXCOMM and training courses like ICS-300 and ICS-400. The ARES Plan outlines a three-tiered membership structure based on increased responsibility levels and accompanying training requirements. Although the tiers are not a required path, they serve to define three distinct ways to participate in the ARES program; it’s up to the participant to determine his or her level of involvement. The ARES Plan points out that public service events such as parades and marathons are within the realm of ARES activity and are, in fact, a key part of it, because such events are an integral part of effective training. In recognizing the local and regional nature of emergency communication needs in disaster response activations, the Plan notes that training requirements are ultimately the responsibility of the Section Manager, with each SM approving training for local ARES teams, as local conditions and needs dictate. The ARES Plan also highlights the relationship between ARES and the National Traffic System (NTS). The PSEWG indicated that it will continue moving forward with efforts to find ways to refine and strengthen that relationship. While the intent of the ARES Plan is to align the ARES organizational structure with the NIMS and ICS systems, Williams noted that, within the ARES structure, the Emergency Coordinator (EC) will continue to lead the ARES team locally during an incident, while the District and Section Emergency Coordinators will continue to serve as resources and support for the EC. (The emergency preparedness staff at ARRL is in the process of updating the EC manual.) The ARES Plan stresses that ARES participants are not first responders, and it encourages ARES leaders to develop and grow their group’s partnerships with state emergency management agencies and officials. Williams said the adoption of the ARES Plan is not the end of this process. During the next several months, Stark Co ARES will begin reviewing the plan and how we can interface it into our local emergency response plan. (Feb 3, 2019) - - The Ohio ARES Conference is currently scheduled for Saturday, April 6, 2019 once again at the Marion Technical Campus in Marion, OH. Those who have attended previous meetings know this is a top notch facility and Ohio SEC Stan Broadway, N8BHL and his staff are hard at work preparing a full day's presentation of new ARES training. More information will be coming out soon. In addition the Ohio NVIS Antenna day will be held on April 27th. This is a great time to test out your portable/temporary HF Antennas !. Mark your calendar to make sure you plan on joining Stan for this always interesting day of training ! Ohio ARES members provided at least $2,674,295.00 in service to their communities during 2018. “The Independent Sector” as used by the ARRL. We calculate the value of equipment at $300 per volunteer. December is anticipated based on prior years. ARES is structured so that each county Emergency Coordinator (EC) operates autonomously with training, relationships and service to served agencies. A guideline for them is provided in ARRL EC training material, and in the Ohio Section Emergency Response Plan (OSERP). Under their guidance, radio nets and training meetings help to keep members active and ready. ARES county organizations participated in numerous drills and exercises throughout the year, from active shooter training to many other scenarios. ARES members were activated for a number of real events, including missing person searches, storm damage, and other events. Some counties made use of ARES members during elections as supplemental communications back to the various boards of elections. Others used our volunteers for additional security and situational awareness at fairgrounds, special events, and Halloween observances. We provided free communication support for hundreds of events including major marathons, Ironman, and numerous other large public gatherings. 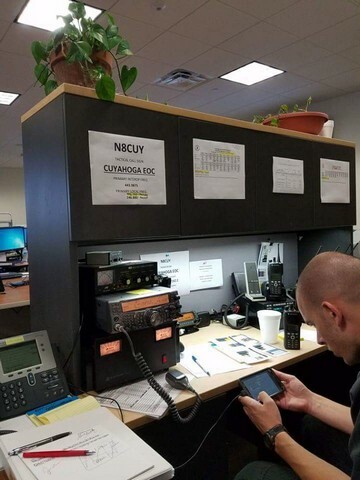 ARES members participate in a weekly statewide radio net anchored at the Ohio JDF/EOC where station W8SGT is located right off the main control floor. This activity confirms our ability to communicate from the state EOC to various counties throughout Ohio. On the same evenings, the Ohio Digital Emergency Net (OHDEN) does a similar exercise using digital message modes, such as would be employed to send forms such as IS-213 messages between counties and from county to state. Most counties are active in early January for the “Ohio ARES VHF Simplex Contest”, testing our ability to use VHF / UHF frequencies without repeaters to relay messages. In late April, we stage our annual “NVIS Antenna Day”, employing “Near Vertical Incident Skywave” antennas designed to communicate to neighboring and nearby locations. These antennas are the type that might be deployed after a major disaster removes normal communication equipment and antennas. 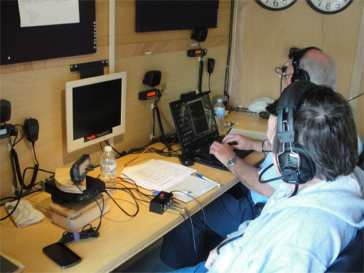 In late June, we participate in the ARRL’s “Field Day” exercise- where remote stations provide portable antennas, power, and equipment to communicate across the country for a 24-hour period. All of these activities further our mission to be able to communicate “when all else fails”. Our ability to provide this important service is dependent on having proper antennas to allow us to make contacts. With these resources in place in our homes and public buildings, we are able to stay ready to provide this important service. Stark County ARES was involved in 5 Community Service Events last year that involved 78 radio amateurs that totaled nearly 400 Service hours. This was a 5% increase over last year. (Nov 24, 2018) - - The MARC just finished assisting with the 64th Annual Massillon Holiday Parade sponsored by Massillon Main Street and the Downtown Massillon Association. This continues to remain the oldest public service event that is handled by the club and our responsibilities have grown over recent years to include many aspects of parade operation. The parade was rebroadcast over Massillon Cable TV and I hope some of you had a chance to view it. The club trailer looked great on the route with our new decorations and special thanks to Jim Farriss - WA8GXM for pulling the trailer in the parade. In the early years of the parade, we provided only communications support to the Massillon JC’s organization who handled the staging of all the parade units. When they disbanded, the city struggled to find volunteers willing to take on this task. Since the MARC handled communications support, somehow we got nominated to take on this responsibility as well. A few years later, Massillon Cable began filming the parade in conjunction with the Massillon High School Communications Department and again the club was called upon to assist with this part of the parade also. Last minute omissions or changes to the parade line up are passed on to the production crew so that the announcers can follow along with the parade units. 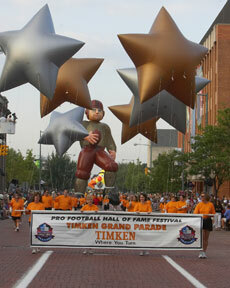 We had experience with this as well as amateurs routinely handle staging activities including TV production control relay duties at the Hall of Fame Festival Community Parade. The Holiday Parade has depended on this ever since. Over the past several years the parade has been sponsored by the Downtown Merchants Association with President Donald Harwig serving as Parade Chairman. During this time and before the club has always been there to make sure the parade is properly staged and starts on time down the parade route. We have become an integral part of the parade and I wonder if they could pull it off without us. I’m glad to report another successful public service event with very few problems thanks to our communications and parade skills. Over 50 years and counting Santa has arrived in the city in no small part thanks to the MARC. Parade Organizers and Communications Coordinator Perry Ballinger, W8AU express their appreciation to the MARC for their continued support of this annual holiday parade. The following club members assisted with this years event. Perry Ballinger - W8AU, Steve Hall - KD8ACF, Igor Nikishin - K8INN, Dan Anastis - N8DZM, Jim Farriss - WA8GXM, Evan Rankl - KE8IDH, Tom Gill - KC8QOD, Terry Russ - N8ATZ, Bob Ballinger - N8KXO, Robin - N8EBS, Vern Sproat - KE8VS, Fred Reed - KD8SMO, Mike Daughenbaugh - KE8EHG, Wade Huthmacher - WD8MIU, Russ McMahen - N8PII, Don Rankl - N8IVJ and Anne Ballinger - N8GAF. This event provided over 60 hours of community service. (UPDATED - - (Nov 3, 2018) - - The Cleveland National Weather Service provided annual fall severe weather training that also covered the types of severe weather that can occur during the winter months. Here in Stark County our local training took place on Wednesday, October 24th, located in the main amphitheater at Mercy Medical Center in Canton. Registration was at 6:30 PM with training to follow. Over 50 participated in this years training. This fall training is sponsored once again in conjunction with the Stark County Emergency Management Agency and the Stark County Amateur Radio Emergency Service. Parking will be free in the main hospital parking lot and the public is invited to take this free training. Along with the normal training agenda, this years will also cover the types of severe weather that can occur during winter time. The logistics for the event include a parade route of 2.1 miles long, which included using a part of State Route 183 and US Route 62. AARC positioned Ten (10) radio operators in such a manner in which the entire parade route was visible at all times. Incidents along the parade route could be relayed to W8LKY net control and passed on to a representative of the Grand Parade Committee. A Tactical Call Sign System was created for the duration of the event, “Carnation Control” acted as net control for the event which was located at the beginning of the parade. The radio operators used various Tactical Call Signs such as “Carnation Six (6)” which designated the location of the radio operator and occasionally the operators would add their own call letters to their parade status reports. The parade itself, took approximately One and a Half Hours to reach the end of the parade route at Broadway and South Union Ave. where it dispersed on West Broadway. The project was completed by 1:30PM with the sign off of the radio operator at Union and Broadway Streets, which signified the last unit, had entered the dispersement area. The Alliance (Ohio) Police Department also monitored the activity ofW8LKY’s 2018 Grand Parade Communication Project. The Operations: We started with a 9AM PR Parade briefing at Rockhill Elementary School. Each radio operator was given a packet containing a parade lineup and other project information. Each operator proceeds to their assigned locations and checked in at 9:30AM with “Carnation Control” the Tactical Control for the project. Each location operator reported the first unit’s arrival and the last unit passing their assigned location and any incident that may have occurred during their time in the viewing area of their assigned location. After the last unit passed their location, they were dismissed. The Ten(10) radio operators of the Alliance Amateur Radio Club who participated in this project included: Frank Sanor WA8WHP, Loren Kleinhans KD8WVE, Paul Richardson K2ASA, Howard Miller JR. K8DXR, Ron Rittenhouse KE8HCY, Shawn Gentle KD8ZEZ, Dwight Turner KD8YFV, Dave Kleinhans KE8IYN, Dave Moreno KE8JLP and Mike Urban KE8CKL. Frank Sanor WA8WHP served as “Carnation Control” or Net Control for W8LKY for the Greater Carnation Festival 2018 Grand Parade Communication Project. Ron Rittenhouse KE8HCY served as coordinator for the event. (Aug 12, 2018) ... The Canton Repository Grand Parade starts long before the seats along Cleveland Avenue are filled. Long before the first float begins its journey, when the sky has yet to change from starlight black to morning blue. High School Bands are still finding their positions and tuning up their instruments, parade balloon are slowly being filled with helium while their handling teams get last minute marching instructions and the dozens of classic cars that carry football legends and celebrities alike are lined up like the Indianapolis Motor Speedway. Among the thousands of parade volunteers, Amateur Radio operators help to organize this vast ensemble of parade participants. These volunteers are members of the Stark County Amateur Radio Emergency Services and multiple other area radio clubs. For over 40 years, amateurs have provided communications services for this event that will total over 200 volunteer hours of service on this day alone. The parade has grown steadily in size over the years and now is the single largest public service event handled by amateur radio operators here in Stark County . Again this year over 500,000 spectators watched the parade and behind the scenes lies a core of amateur volunteers many of which have nearly 25 years of experience assisting with the parade. This dedication is one reason that parade organizers have long realized the importance of effective communications that are necessary in organizing a parade of this magnitude. Also over the years, they have come to understand and appreciate the fact that it takes more than a radio to make an effective communicator. Parade General Chairman Drew Felberg realized the limited range of their commercial radio's and he was grateful to learn that our communications was solid throughout the parade route thanks to our wide area coverage ARES Repeater on 147.12 Mhz. The Canton ARC's club repeater on 146.79 Mhz was also ready to use as our backup if needed. With the introduction of Digital Mobile Radio (DMR) Technology, we also increased both our communications range and ability to cover the entire parade route this year. The last several years, parade officials have used loaned commercial radio's to maintain communications with their committee members.. While this has worked for routine short range communications, parade organizers have relied on the discipline and experience of amateur operators to handle urgent communications needs and especially medical traffic that occurs throughout the nearly two and a half mile parade route. Continuing this year, in a reorganization of parade communications, our responsibilities covered four separate areas, each with it's own control point. These were Staging, Route Communications, Dispersal and Medical Support. Staging is where it all begins. Event organizers and radio operators setup and arrange the over 130 units that make up this years parade. Beginning at about 2:00 A.M., this job is like taking a 5,000 piece puzzle and assembling all the pieces to create the final picture in a little over five hours. This doesn't include the setting up of the Television Broadcast area, Parade Communications Center and the Balloon Inflations area, all included in our early morning duties. At exactly 8:00 A.M., the gun sounds and the parade starts down the route. Terry Russ, N8ATZ is stationed at the television area to act as communications liaison to Parade Chairman Drew Felberg. As part of our new responsibilities, Dave Beltz, WD8AYE was assigned to the parade Communications Center to act as liaison with parade communications and public safety forces. Route Communications then kicks in to help maintain the pace of the parade units. The pace of the parade is set by Canton Police Department motorcycle units. Each successive unit is to follow maintaining a certain spacing set by football helmets painted along the entire 2.5 mile parade route. Expected slowdowns occur during the parade in the TV area, where all units slow to perform for the crowd then speed back up to maintain proper spacing. Parade spacing and movement is a top priority for event coordinators, a role headed up another committee member who was in charge of all parade marshals positioned throughout the parade route. 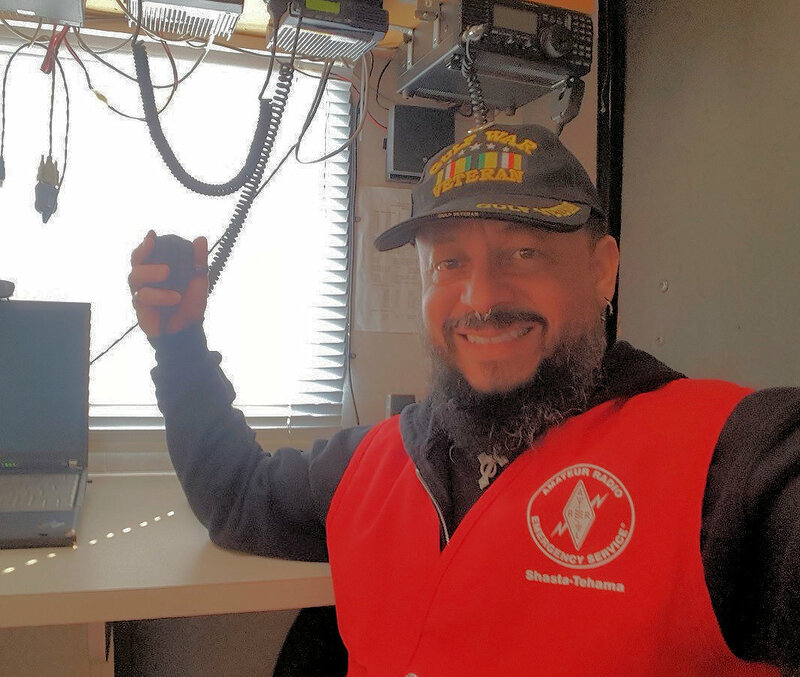 Shadowed by a ham liaison Mike Daughenbauch, KE8EHG, he monitors the condition of the entire route thanks to our network of radio operators. As spacing became an issue, Mike relayed instructions to all marshals to get everything back in sync. A task that would not be possible without the support of ham radio. This continued to be a daunting task and thanks to amateurs disciplined communications experience, we were effective in minimizing unit gaps throughout the parade. In addition, amateurs watched for trouble spots, assisted with broken down floats, crowd control, seating assistance, media relations, and medical support, these being only a few of the responsibilities handled by amateur radio operators. Net Control, under the direction of Ron Hendershot, KA8FTP, helps to ensure orderly parade radio traffic and maintains overall communications with all parade operations. Ron also monitored weather radar, another benefit provided by radio operators. Nearly 30 radio operators were positioned along the entire parade route to handle this facet of parade operations. Medical Support has continued to remain one of our most important parade responsibilities as thousands of participants and spectators crowd the route each year and brave a myriad of changeable weather to watch the grand parade. In recent years, county medical squads have updated their communications equipment to provide for better interoperability between the many emergency medical service units called in to assist with the parade. Due to these advances, amateurs' role in this area was decreased although operators along the route were prepared to assist should emergencies arise. Again this year several emergencies did occur and radio operators again were called upon to support the EMS in providing communications assistance with this ever present problem area. As in previous years Emergency Coordinator Terry Russ - N8ATZ maintained communications with the Parade Chairman in the Parade Communications Center. This provided a link to both Emergency Medical Service and Police personnel. Parade Dispersal continues to be an increasingly complex segment of the Grand Parade in recent years. This years responsibility for as Dispersal Communications Coordinator was Wade Huthmacher - WD8MIU. An important part of the parade, dispersal has had to handle numerous situations and problems including reuniting participants and parents and general disassembly of the entire parade. For the twelfth year in a row, additional volunteers were assigned to this area. 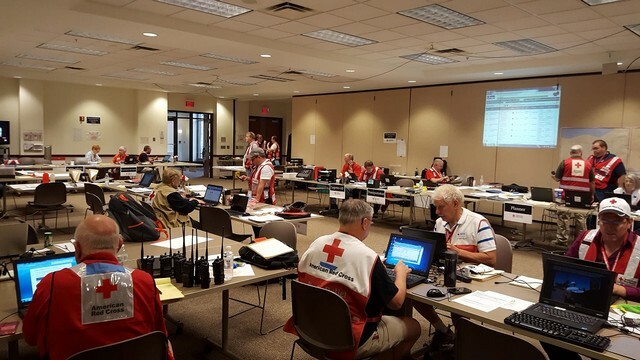 With local amateurs running in short supply, volunteers were obtained from the Akron area including members from the Summit County Amateur Radio Emergency Service and several other area radio clubs including both the Canton and Alliance ARC and the Portage County ARC. A special thanks for these additional volunteers, provided through our Mutual Aid pact with neighboring county ARES. The 2018 Enshrinement Grand Parade was another great success thanks to the many volunteers including the amateur radio operators who assisted us again this year. Parade General Chairman Drew Felberg and Communications Coordinators Wade Huthmacher – WD8MIU and Terry Russ - N8ATZ want to thank all the volunteers for their help and assistance during this years parade. Their tireless efforts, although largely unnoticed by the general public, have proven their worth time and time again over the years. Parade Officials were very appreciative of the ham operators assistance in the parade each year, "I really don't think we could pull this thing off every year without ham radio assistance." County EC Terry Russ agreed: For over thirty years, ham radio operators have been the backbone of the parade, providing the bond that keeps it all running smoothly for the Hall of Fame Enshrinement Festival Committee." STAGING/COMMUNICATIONS Center: Terry Russ - N8ATZ and Dave Beltz - WD8AYE, and Mike Daughenbauch, KE8EHG. General Net Control - Ron Hendershot - KA8FTP. DEMARSHALLING COORDINATOR: Wade Huthmacher - WD8MIU. ROUTE COMMUNICATIONS: Steve Simon - KD8SPF, John Wagner - W8JJW, Don Wade - W8DEA, Vern Sproat - KE8VS. North Route: Perry Ballinger - W8AU, Pat Quinlan - KA8DAL, Jeff Gortney - K8JAG, Ted Faix - KB8PRK, Igor Nikishin - K8INN, Tom Gill - KC8QOD, Al Perry - KE8EHE, Lori Perry - KE8EHF, Roger Grey - W8VE, Dale Lamb - NX8J, Dirk - KE8JGX, Tom - KD8JRK, Perry - N8VXQ, Mike - N8COM, Don - N8IVJ, Justin - N8JKC, Brian - K3CAK, Ted - K8TWA, Dennis - AI8P, and Deb - KD8DEB. DISPERSAL Team Leader: Wade Huthmacher - WD8MIU, Tom Gill - KC8QOD, Denise Gill, Leonard Johnson - N8XPI, Frank Koby - N8SGS, Keith - KE8DTS, Sandy - KB8PHO, Adam - KE8IEM and Jay - W8DAP. 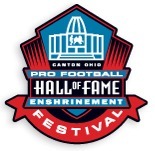 Congratulations to everyone on another great Pro Football Hall of Fame Enshrinement Festival ! (Jul 29, 2018) - - With a picture perfect day for an opening day parade, members of the Stark Co ARES, Canton & Massillon ARC's once again assisted in the opening events of the Pro Football Hall of Fame Enshrinement Festival by providing communications support for the Community Parade held this year on Sunday, July 22nd. Again this year amateurs provided both logistical support communications for parade staging as well as medical support covering the EMS units assigned to the parade route and TV Production assistance. Digital packet communications were utilized to synchronize the nearly 90 parade units making up this years parade. A voice relay is normally used to relay the exact line up and was provided by Evan Rankl - KD8IDH to Tom Gill, KC8QOD and Ted Armstrong, K8TWA who then sends this down to Jason, KC8LIN inside the Television Production truck. This system allowed parade officials to make any last minute lineup changes and accurately convey this to the TV producer. Packet is used for this function and has proven to be the perfect choice as it allows van personnel to continuously monitor the status of all units in the parade. This marks the 19th year this has been used and is an important aspect of our parade assistance. This year the weather cooperated and the parade was completed with only a few minor unit breakdowns and no injuries to any of the participants. Our other parade responsibility and perhaps our most important, is medical support. Amateurs were stationed along the route to provided a common communications link to the medical command center in demarshaling area. A special thank you to the following volunteers who assisted with this years event. The TV Production and logistical support crew included packet operators Tom Gill – KC8QOD and Ted Armstrong, K8TWA, and Jason Stroll - KC8LIN in the TV Production Van. Net Control was handled by Terry Russ - N8ATZ. Medical Unit support included Mike Palmer – KD8ENV in staging with Perry Ballinger, W8AU in demarshaling. Igor Nikishin - K8INN, Very Sproat, KE8VS, Steve Simon - KD8SPF, and Don Wade - W8DEA positioned along the Market Avenue Route. A terrific job from a great crew, thanks again for your support of the Pro Football Hall of Fame Enshrinement Festival ! (May 28, 2018) - - On Tuesday, May 15th, members of the Stark County ARES provided support communications for the Akron-Canton Airport Drill. This Exercise was a full scale Disaster Drill to help test and improve emergency procedures and preparedness. The FAA requires all commercial airports to prepare and conduct full scale drills every three years. 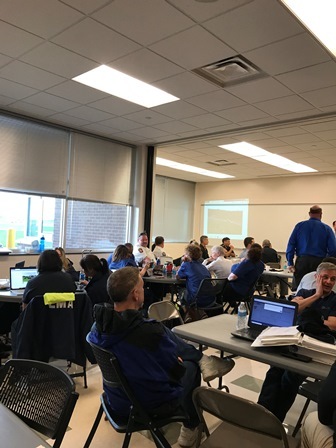 This years drill was coordinated by the Akron-Canton Airport and Stark County Emergency Management Agency (EMA) with the help of over twenty-one participating agencies including both the Stark and Summit County ARES. Our role in this drill was to provide communications support at multiple hospitals including Altman and Alliance General. Operators also staffed multiple transport busses used for volunteer/victim transport to the crash site and area hospitals, Finally we provided tactical communications between the Airport Command Post and hospitals & crash site. Finally we provided tactical communications between the Airport Command Post and EMA. A portable communications Go-Box was used at the Command Center while portable handhelds were used on the busses. As expected, communications with the busses proved difficult even using external antennas to provide better range. Constant communications was maintained between the busses, hospitals and the command center throughout the exercise providing vital information on the status of all volunteers/victims. This would provide critical information should this had been an actual disaster site. Multiple local repeaters were utilized as well as simplex frequencies for this drill. Summit County ARES also assisted with this event providing communications for several Summit County Hospitals. Stark County EMA Director Tim Warstler expressed his total appreciation for the assistance of both Summit and Stark County ARES as we again proved that our ability to provide reliable support communications would be a vital part should an actual incident happen at our local Airport. The following operators participated in this drill that totaled over 50 hours of community service. David Beltz - WD8AYE, Terry Russ - N8ATZ, Jim Farriss - WA8GXM, Don Finley - W8DEF, Linda Finley - K8MOO, Tom Gill - KC8QOD, Don Wade - W8DEA, Frank Sanor - WA8WHP, and Mike Palmer - KD8ENV. (Feb 23, 2018) - - Hi all! The ARRL has published its year end report for 2017. We’ve told you repeatedly that Ohio is a leading program…and that’s all because of YOU! Here are the official stats. Nationally, there were 31.322 members (a 12% increase from last year) The caveat is that more sections have been reporting than ever before, so you’d expect that number to be up. So that is ARES contribution to our nation in 2017- something we can be proud of! Ohio reported 1858 members, with 9,457 events and a contribution of $2,051,972 You invested 85,003 hours in service to your communities!! This, with our reporting record of 100%, puts Ohio in the top five ARRL sections. We are actually third by state (California 2265, Texas 1930 are ahead) in membership. Ohio is FIRST in number of ARES events! And we are second in the amount you have contributed to your communities: $2,051,972. We are second behind MI (90,244) in hours contributed. These are great numbers to show your EMA Directors! The takeaway is that even with major events such as hurricanes, our Ohio Section ARES is the most consistently active organization- showing that we DO have the training and track record to be a valid partner! I cannot thank each of your enough for your time and energy!! These results show that it’s working, and very worthwhile! What about here in Stark County ? The Stark County ARES was involved in 3 Community Service events last year that involved 55 radio amateurs who provided 268 total Community Service hours. 2018 looks to be just as busy with our normally scheduled events plus an anticipated Airport Drill in April. Congratulations to every ARES member for your dedication and hard work ! (Apr 14, 2018) - - The 2018 Ohio ARES conference was held Saturday, April 7 at the Marion Tech / OSU Marion campus. We had use of a great 150 plus seating lecture facility with excellent visuals, and a wide selection of lunch places nearby! This year’s keynote speaker was Great Lakes Division Director Dale Williams, WA8EFK, who covered the extensive changes currently taking place within the ARRL ARES program both within in Ohio and the nation. Other topics covered were expanded use of DMR communications in Ohio ARES, additional training opportunities and future state wide drills here in Ohio. Attending from Stark County were EC Terry Russ, N8ATZ and Assistant EC's Don Wade, W8DEA and David Beltz, WD8AYE. (Apr 1, 2018) - - Stark County Skywarn and the County EMA office hosted our annual Severe Storm Spotter Training this year at Jackson High School on Wednesday, March 21st from 6:00 to 8:00 PM. Conducting the training was Zach Sefcovic, Meteorologist from the Cleveland NWS Office. 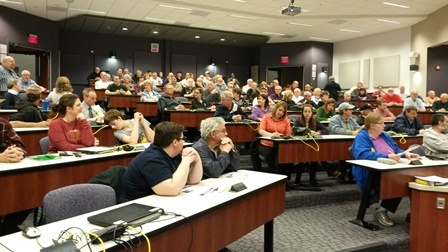 Nearly 100 people attended this years training consisting of Amateur Radio Operators, area public safety forces, hospital, school employees and the general public. This training included a new powerpoint presentation that included content from last years severe weather here in northeast Ohio. County EMA Director Tim Warstler and ARES EC Terry Russ would like to thank Zach Sefcovic for the great training presentation, Keith Obermeier, IT Director representing Jackson High School for arranging for the use of the great facility. The training was very well received by those in attendance. I would also like to thank my Assistant EC's for their help with registration for this years community service. They were David Beltz - WD8AYE, Mike Palmer - KD8ENV, and Mike Lackney - KB8MIB. (Dec 23, 2017) - - - The Amateur Radio Emergency Service® (ARES) has been the public service communications program of the ARRL since 1935. Over the program’s eight decades it has occasionally undergone updates to make sure it meets the needs of partners at all levels, adjusts to changes in the Amateur Radio Service, and incorporate lessons learned from emergency and disaster activations. However, the last major update to ARES occurred more than 40 years ago, and it is quite clear that a lot has changed since then. Email forwarding, which will provide ARES groups that have a club callsign with a uniform "call sign@arrl.net"
In the coming months Stark County ARES will be providing additional information on how this new ARES program will be implemented here as we are also reviewing the current ARES registrations into those members eligible for Tier 1 Status. Contact Stark County EC Terry Russ, N8ATZ with any questions on this new program. (Dec 23, 2017) - - I recently completed two new Go-Box Equipment Stations using parts obtained during my trip to Dayton Hamvention this year. The first is a VHF/UHF design using the classic Ammo Box design while the other is an updated design of an HF station box. If you are interested in looking for ideas or are ready to building a portable Go-Station have a look at our Projects webpage where you will find several of my own designs as well as stations assembled throughout Ohio ARES complete with photographs and assembly ideas. You may already have some spare equipment that would work out perfectly for a Go-Box. Time to start thinking about assembling one of your own ! (Oct 30, 2016) -- Stark ARES hosted an information table at the October 23rd Massillon Hamfest. The table was staffed by ARES Net Manager Mike Lackney - KB8MIB and Assistant Net Manager Mike Palmer - KD8ENV. Our display included a PowerPoint presentation covering basic ARES & Skywarn operations, a display of several versions of Emergency Response or (Go-Boxes) and informational literature. New this year was literature provided by the Stark County EMA Office. Many visitors stopped by with questions and comments covering our ARES & Skywarn programs here in Stark County. My thanks to both Mike's for staffing the booth during the hamfest ! (Jul 30, 2016) - - Stark County ARES was active on standby status during the Cleveland Republican National Convention. EC Terry Russ, N8ATZ was a backup operator for the Summit Co Red Cross Operations Center during the event which was staffed around the clock during the convention. Summit Co EMA was the primary agency during the event. Stark County EMA was also prepared to provide support in case it was needed. Summit Co EC Ken Dorsey, KA8OAD expressed his appreciation for our offer of support for the event. Below are some pictures taken on the Summit Co Command Post. (Feb 6, 2016) - - The Stark County EMA was briefly activated last Monday evening when a train derailment occurred at the Brewster Wheeling & Lake Erie Railway station. 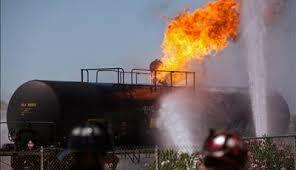 Four railroad tanker cars derailed and one carrying butane caught fire at about 5:30 PM. By about 6:15 PM the Stark County EMA was activated uncertain as to the extent of the emergency. ARES was requested to activate the communications center to monitor the county emergency station and establish and an emergency net in case additional support was needed at area hospitals and the Red Cross Center. About 100 local residents in close proximity to the scene were evacuated and assisted by the Red Cross. County Emergency Coordinator Terry Russ, N8ATZ was contacted and also responded to the EOC with Assistant EC David Beltz, WD8AYE who staffed the Comm Center for several hours assisting with communications. Once the on scene fire and Haz-Mat crews had the situation under control at about 8:00 PM, the EMA was deactivated and our Emergency Net was closed. EMA Director Tim Warstler appreciated the quick response from the Stark County ARES who monitored communications during the emergency. (Jan 17, 2016) - -Gary Garnet has served the National Weather Service for over twenty six years. 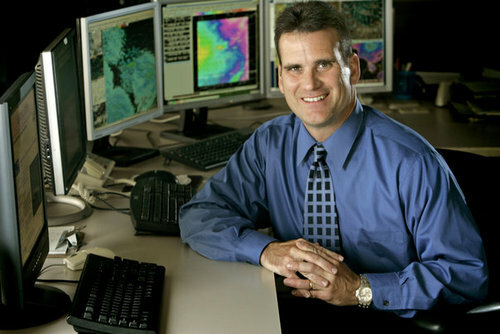 Since starting his career in 1989, Gary has held many positions including: Intern in Charleston South Carolina, General Forecaster in Charleston, West Virginia, Science Operations Officer in Grand Rapids Michigan and most recently sixteen years as the Warning Coordination Meteorologist in Cleveland, Ohio. Gary has served periods as the Acting Meteorologist in Charge at NWS Cleveland and briefly at NWS Pittsburgh. Gary has earned several awards throughout his career including the U.S. Department of Commerce Silver Medal for actions during Hurricane Hugo and the NOAA Administrators Award for work with the Great Lakes Marine Program. Gary has provided support to multiple other NWS offices during significant events such as Deep Water Horizon, Super Storm Sandy and the Super Tornado Outbreak of April 2011. Gary holds a Bachelor of Science degree in Atmospheric Sciences from The Ohio State University and a Masters of Computer Science from Grand Valley State University in Michigan. Mr. Garnet assumed his new position on January 10, 2016. (Jan 19, 2015) - - Stark County ARES was activated the evening of January 13th when a telephone outage caused by an equipment failure in a Summit County AT&T switching station caused multiple equipment failures throughout the area. Here in Stark County local emergency service phone line failure resulted in an emergency declaration and the Stark County EMA office was activated. EMA Director Tim Warstler requested ARES activation to provide communications and logistics support to his office. ARES member David Beltz was first to respond to the office at 9:00 PM only to find that our equipment had been temporarily removed as building renovation was in process. Dave contacted EC Terry Russ to respond as well. Our portable equipment kit was brought to the EOC to establish communications. Antennas had also been removed and thanks to support from local radio station WHBC and their remote truck, station engineer Dale Lamm, NX8J, we were able to setup a temporary antenna. This completed we established a net on our ARES Repeater. During net operations, we made contact with the multiple EMA offices affected by the phone outage. We were also in contact with the Ohio EMA office in Columbus. During the next four hours we helped maintain communications links with multiple offices and public safety forces as well as staff the MARCS Statewide Radio System. The Massillon ARC offered the use of their Communications Trailer in case support equipment was needed. Stark County Sheriff George Maier and EMA Director Tim Warstler were thankful for area amateurs quick response to this short communications emergency. Full phone service was restored and by approximately 1:30 AM we closed down the emergency net and operations from the EOC. Click Here to read the ARRL recap of the comm emergency. 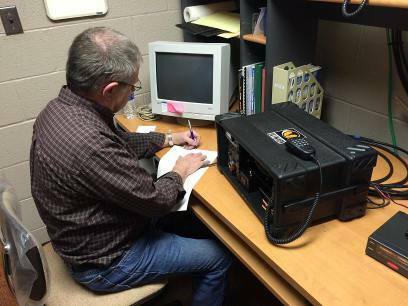 County EC Terry, N8ATZ operates using our Go-Box from the radio room. (UPDATED Feb 16, 2016) (Dec 27, 2014) - - While I was very satisfied with my latest Equipment or Go-Box based on the Gator 8U Rack Mount Case, it did have several limitations. On my latest design, I tried to correct these limitations and come up with a more useful Field Box. The full report including several pictures is posted on the Projects Page. Have a look at it and let me know what you think. Finally I have been able to collect a lot of Go Box pictures from my travels to several ARES Conferences over the last several years. These pictures are now posted on the photo page. Have a look if you are looking to build your version of a equipment Go-Box. Click Here for a direct link. 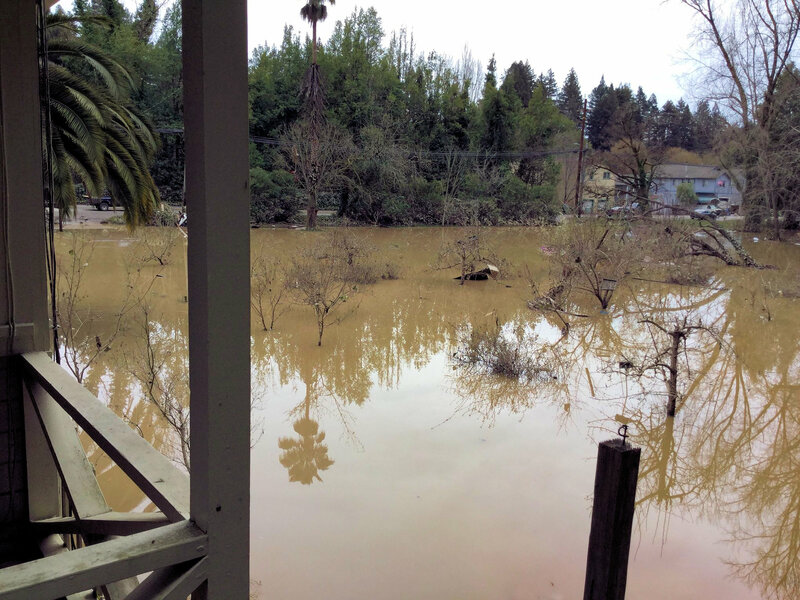 (Mar 11, 2019) - - Amateur Radio volunteers with the Sonoma County, California, Auxiliary Communications Service (ACS) rallied to assist in February after heavy rain led to flooding in the region. San Francisco Section Manager Bill Hillendahl, KH6GJV, told ARRL that while no actual communication emergencies occurred during the weather event, Sonoma County ACS volunteers provided “needed eyes” and were available in case further assistance was needed. Sonoma County ACS Radio Officer Dan Ethen, WA6CRB, said heavy rainfall on fire-scarred areas resulted in flooding along the Russian River. “All-Hazard Road Patrols” observed and reported downed powerlines and trees, mud[slides] and landslides impacting traffic flow, and debris issues that posed problems with water drainage and road flooding,” Ethen said. From February 26 – 28, ACS Volunteers staffed the Sonoma County Operational Area Emergency Operations Center (EOC) and the Graton Fire Incident Command Post (ICP). They provided back-up communication capability between the EOC and ICP to support the evacuation of residents in the Russian River flood area. Sonoma County recommended on February 26 that residents living near the Russian River evacuate, after the river was forecast to crest at nearly 46 feet by the following evening. ACS volunteers continued “All-Hazard Road Patrols” while operating on the countywide 2-meter repeater system. “Mobile patrol units were also tracked on APRS and visible to the EOC radio operators to ensure safety and accurate location reporting of any observed hazards,” Ethen said. Sonoma County ACS supplements government disaster communication on a volunteer basis. It is a part of local government and operates under the authority of the Sonoma County Fire and Emergency Services Department. Volunteers provide communication between the County and its jurisdictions, county and city governments, and neighboring county governments. Monitor the 147.12 Mhz Repeater for Severe Weather information here in Stark County ! Our thanks to Mercy Medical Center for their commitment to the Stark County Amateur Radio Emergency Service and for their support of Stark County Winlink. ARES®, Amateur Radio Emergency Service and the ARES logo are registered trademarks of the American Radio Relay League, Incorporated and are used by permission. Welcome to the new Stark County ARES Website. The Amateur Radio Emergency Service (ARES) consists of licensed Amateur Radio operators who have voluntarily registered their qualifications and equipment for communications duty in the public interest when disaster strikes. The Stark County ARES has always been dedicated to the completion of three goals. One, to provide the citizens of Stark County and local Public Service officials with a team of highly skilled and dedicated radio operators ready to assist when needed. Two, to provide Stark County amateurs with a full featured, reliable wide area coverage ARES Repeater. And three, to provide an information service for both amateurs and the community. With the redesign of this website, we hope we have accomplished this mission. We welcome your comments. 2019 Stark Co ARES meeting schedule will be posted when dates are set. Meetings will be on Thursday Evenings at the Stark County EOC Office beginning at 7:00 PM. County Winlink RMS Packet Relay is on 145.07 Simplex. Callsigns are N8ATZ-10 (Eastern Stark Node) and WA8GXM-10 (Western Stark Node). Ohio Section ARES News is available on the Ohio ARES Website. Click Here to read the latest Section News. Click Here to see some simple ARES portable antenna mounts you can use during local public service drills and events. Review Current Activities in the Stark County Winlink Initiative. The ARRL recently reviewed a new website that does a great job of describing the Anderson Powerpole connectors. The site describes the connectors in detail and provides tips on assembling and using them on your equipment. For higher power rigs and DC power supplies, the Anderson Powerpole is the emerging National ARES/RACES standard. 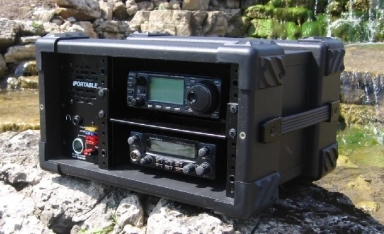 The site also contains links for additional Amateur Radio Emergency Communications ideas, a portable EC station and a Quick Response Team Go Kit. This site has lots of useful ARES information, well beyond the powerpole ideas. 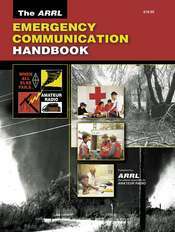 The ARRL announces a new emergency communications handbook for all hams that volunteer their skills in public service applications. The handbook includes details on basic emergency communications skills, message handling, and much more. This reference will help you to understand the public service role amateurs will play and what to take along. The Handbook is 176 pages and costs $ 19.95 plus shipping from the ARRL and other dealers. (Mar 26, 2006) -- The ARRL has introduced a new Emergency Communications Catalog containing a host of items using the "When All Else Fails" theme. The items are a great reminder that Amateur Radio provides immediate, high-quality communications that work every time, when all else fails. The items include T-Shirts, Pins, Stickers, Patches, Magnetic Signs, Banners, a Coffee Mug and Key Chain all carrying the "When All Else Fails" theme. Click Here to visit the catalog. Click Here to download a current ARES Registration Form. Help us keep your record current ! Anderson Power Pole Connectors, the defacto standard for ARES power connections. 2010 HOF Festival Community Parade Report..
Alliance ARC Take Part in Drill. Stark ARES Attends District Meeting. Stark ARES & MARC Assist With 2009 Annual MS Walk. MARC Assists With Massillon Holiday Parade. Hurricane Ike's Winds Hit Stark County. Stark ARES Assists With Akron Marathon. ARES Teams Activated for Northwest Near Record Flooding. MARC Assists With Annual MS Walk. ARRL Board Accepts NERPC Report. Airmail Station Completed at Mercy Medical Center. Stark County ARES Part of OEHA Fall Conference. Click above for official ARES Logo merchandise from the ARRL. The Official Stark County ARES Name Badge Supplier. Click on the logo for details. The Stark County ARES is a proud supporter of the Annual Pro Football Hall of Fame Enshrinement Festival providing communications support for over 25 years ! Stark County EMA is now on Facebook. They will use the new social media site to provide ongoing public information about disaster related issues in the county. Please Like and share with your friends ! Look for them by going to "starkcountyema" on facebook. Looking for a ready made "Go-Kit" ? Checkout Quicksilver Radio for several ready to go VHF Go-Kits. Click on the pix below to see the current specials. Have a look at our Projects Page for a review of their latest product.